Generally, people do not give due attention to the crawl spaces of their Tampa commercial and residential buildings. Consequently, most of their crawl space remains cluttered with unwanted stuff, humid and swarmed by pathogens. This is because a crawl space is an underground area that is hardly accessible to anyone. Tampa property owners and managers just take it as an area that houses ugly-looking utility fittings. However, the crawl space of a building is one of its most important parts. It not only supports the structure of the building but also protects the foundation. Being an underground area, it is highly susceptible to moisture, excessive humidity and flooding. These conditions not only damage a building from within but also breed harmful bacteria, thereby causing health hazards for the inhabitants. Therefore, you must seek professional help to clean and waterproof the crawl space of your building. The team of professionals at AdvantaClean of Tampa are IICRC certified water damage experts. AdvantaClean of Tampa is a trusted name in the field of crawl space cleaning and waterproofing. We offer the most innovative and lasting crawl space waterproofing solutions in Tampa. Our seasoned technicians are known for their in-depth understanding of various crawl space cleaning techniques. 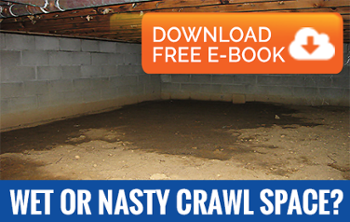 They use the most advanced tools to give your crawl space a complete makeover. With their expertise and focus on customers, AdvantaClean technicians ensure that your crawl space remains free from humidity, moisture, water damage and allergens.